He was a true gentleman and like a second father to me. He guided the career of The Beatles with such skill and good humour that he became a true friend to me and my family. If anyone earned the title of the fifth Beatle it was George. Since Christmas Day I’ve been reading Tune In, the first of three volumes in which Mark Lewisohn intends to tell the definitive story of the Beatles. It’s a grand book in every sense of the word: this volume clocks in at close on a thousand pages and ends just as the group travel to London to record their first single ‘Love Me Do’; it’s also meticulously-researched and written with passion, authority and elegance. This is not your average pop hagiography, but an informed and insightful social history of Liverpool and the emergent youth culture of the 1950s. Along with seven million other viewers, watching ITV’s Cilla I was lost. Not expecting much after previous lacklustre depictions of Liverpool during the Merseybeat boom, I was transported by Sheriden Smith’s scintillating performance in the lead role of the teenage Cilla Black, by the convincing script and uniformly sound acting. The drama recreated sixties Liverpool with realistic locations and accents, but also captured the essence of a mythical city from which exploded all the promise and excitement of the Mersey sound, heralding a bright new future of youthful liberation. Transfixed by it all from a distance in 1963, from that time on I was drawn inexorably to a city that seemed aglow with opportunities, and in which I settled four years later. 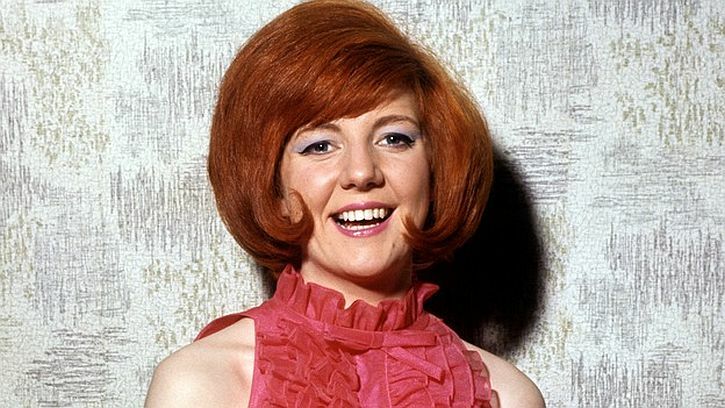 In three episodes, Cilla written by Jeff Pope and directed by Paul Whittington, lovingly recreated Liverpool in the early sixties, confining itself to the three years that saw the 17 year-old typist Priscilla White, denizen of beat clubs like the Iron Door and The Cavern, transformed into the 20 year-old Cilla Black after being taken on by Beatles’ manager Brian Epstein, recording a series of chart-topping hits beginning with ‘Anyone Who Had a Heart’ to become Britain’s biggest female pop star of the decade. I was gripped from the first episode which evoked all the excitement of 1960s Liverpool, recreating an exuberant music scene that thrived in countless clubs like The Cavern in which over three hundred groups such as The Big Three, Rory Storm and the Hurricanes and Kingsize Taylor and The Dominoes (and The Beatles, of course) belted out versions of American pop, soul rhythm and blues and soul numbers learned from singles brought over from New York by the ‘Cunard Yanks’, scouse stewards who worked on Cunard transatlantic liners sailing from the port. This was music the rest of Britain, reliant on the BBC Light Programme’s bland playlist, never got to hear. This was a city in which young lads bought guitars, formed groups, and learned to play the music they heard on the singles brought across the Atlantic by the Cunard crews – raunchy numbers by names that would not become familiar to the rest of the country until years later – rock’n’rollers like Little Richard and Chuck Berry, blues men like Howlin’ Wolf and Muddy Waters, and early Motown artists such as The Miracles, The Marvelettes and Barrett Strong. Rocking along in the audiences were teenage girls like Beryl Marsden and Cilla White – girls who knew the songs inside out and soon were on stage with the lads, belting out numbers with abandon. Everyone – performers and audience alike – found in these lunchtime or evening sessions a release from the drudgery of their daytime work in factory or office. 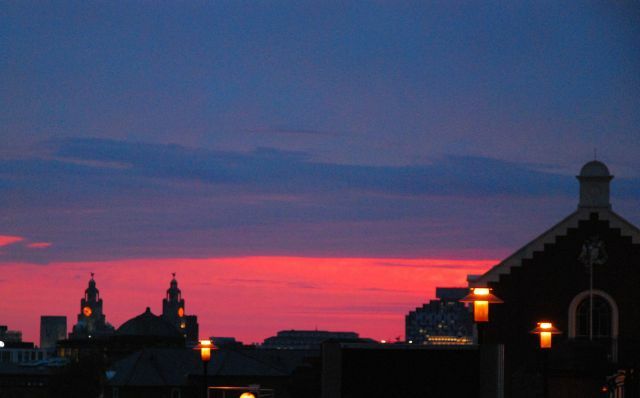 Growing up in a mildly repressive and fairly joyless household in rural Cheshire, the explosion of the Mersey sound and the arrival of the Beatles bearing aloft the banners of youth and freedom, and thumbing their nose at everything staid or square meant Liverpool became for me a golden city, a beacon of liberation. The city I found when I arrived in 1967 was, of course, very different from this mythical image. Black, soot-encrusted buildings, endless streets of run-down, red-brick terraces; a port city where already the docks were dying and waterside warehouses crumbled. The Pier Head was a far cry from the image that Gerry Marsden’s anthem had conjured in my mind: a wind-whipped wasteland where crowds huddled on the land-stage, waiting for the Birkenhead ferry. 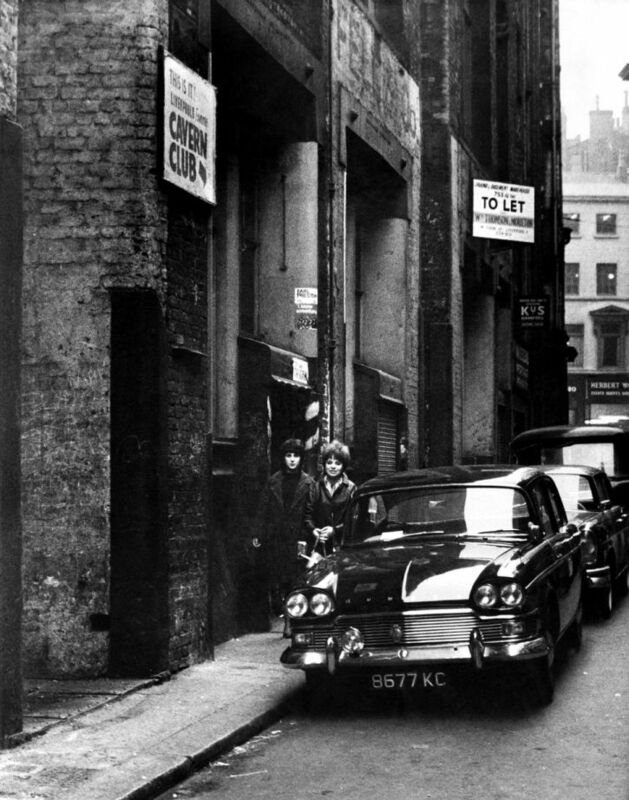 Yet – it was a vibrant place, even if the beat groups had mostly gone and The Cavern and the rest of the club scene was past its heyday. I found the Liverpool Scene and their weekly gatherings at O’Connor’s Tavern, poetry and drama at the Everyman. I lived in Liverpool 8, the elegant frontages of its Georgian streets disguising the landlord neglect and disrepair that you found inside. I relished the many colours of Granby Street, the jostling crowds at Paddy’s Market, and found amidst the poverty and dereliction a place of great good humour, a teeming mix of identities, laughter and conversation on the buses and in the shops, jokes and singing in the pubs, a pride in the city’s sense of difference – and the football. Two teams, two cathedrals (one unfinished, one an angular modernist masterpiece): in pub singalongs, when it came to ‘In My Liverpool Home’ (as it always did), some would sing ‘If you want a cathedral we’ve got one to spare’, while others, fewer in number back then, marked their rejection of the city’s religious divide by singing ‘we’ve got two to spare’. In the first episode, Cilla works by day in a typing pool but at night checks coats at The Cavern and haunts other clubs, angling for a spot on stage. The Beatles have already been spotted by Brian Epstein, and Ringo (who has already replaced Pete Best as the band’s drummer at Epstein’s behest) puts Cilla in touch with him. The Beatles angle is not overplayed – we only see glimpses of them on stage, or as part of Cilla’s social circle. Cilla dreams of being taken on by Epstein, but it seems that Beryl Marsden has beaten her to it. However, local lad Bobby Willis (played by Aneurin Barnard) is drawn to Cilla, and offers to be her manager. His first attempt at negotiating terms leads to Cilla taking a pay cut for her appearances. There’s a lot of convincing location shooting (aided by some effective CGI). Cilla’s family lived above a barber’s on Scotland Road with no separate entrance of their own (her mother always hated that, and would insist that visitors came round the back way). The working class streets around Scottie Road are long gone, demolished in the massive slum clearances of the late sixties that saw people rehoused in the Everton tower blocks or out in Kirkby – so most of the filming was done in the south end. 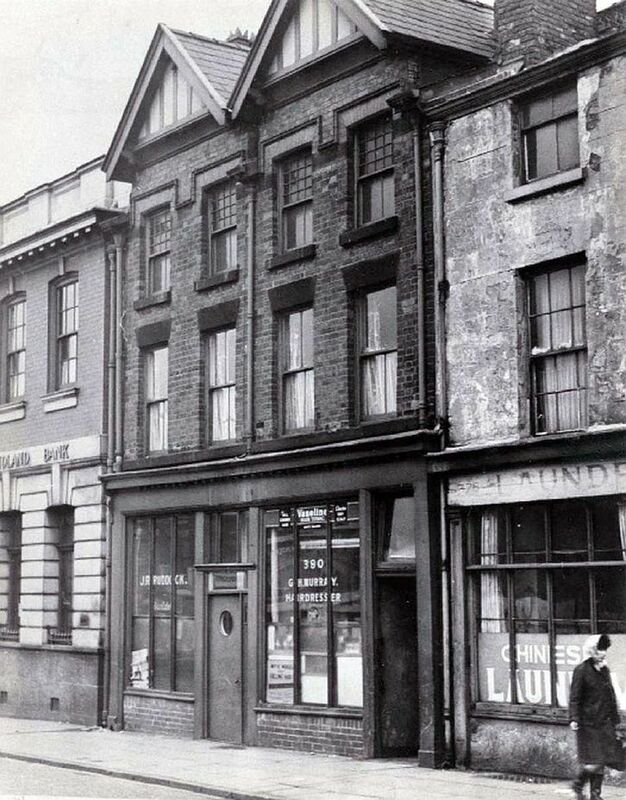 Cilla’s home was recreated on Duke Street, while for Ringo’s home there were several shots of the lovely terrace that runs the length of Yates Street, off Mill Street, with its raised landing. (Incidentally, the street – one of three built to house workers at the large flour mill that still operates opposite the houses – was saved from destruction by the residents themselves, who formed themselves into the Corn and Yates Street Housing Co-op). And here was something I’d nearly forgotten – the religious divisions in the city that meant a Catholic girl like Cilla wasn’t meant to be knocking around with a Protestant like Bobby. The origins of Liverpool’s religious divide lay in its sizeable population of Irish origin, the result of large-scale immigration in the 19th century, which made it a city divided, like Glasgow, with Catholics and Protestants sticking rigidly to their communities and frowning on intermarriage. There were Liverpool Protestant Party councillors until 1973, and Irish Nationalist councillors had represented the Scottie Road area until after the Second World War (while the MP for Scotland Road was, until 1929, an Irish Nationalist). I remember when I arrived in the city in 1967, being taken aback by the annual Orange Lodge marches and the ‘No Popery’ and ‘LOL’ slogans painted on walls along Netherfield Road. Cilla had been introduced to Epstein by John Lennon, who persuaded him to audition her. Her first audition (the final scene of episode 2) was a failure, partly because of nerves, and partly the fault of the Beatles. She chose to do ‘Summertime’, a song she adored and had sung with the Big Three, but had not rehearsed with the Beatles, who played it in the wrong key. But she gets a second chance with Epstein, travelling to Abbey Road studios in London for her first recording session with Beatles producer George Martin. She sings McCartney’s ‘Love of the Loved’ and halfway through the song Martin halts the recording and leaves the booth to have a quiet word with Cilla: could she try not to pronounce ‘there’ as ‘thur’? They do another take, but this time she’s singing ‘care’ as ‘cur’. When released the single failed to make the top 30. But for her second single, Martin offers her the chance of a lifetime – a song already released in the States by Dionne Warwick, written by Burt Bacharach and Hal David, and one that he had in mind for Shirley Bassey. In the drama he passes the Warwick single over to Cilla – she already knows it. It’s one of those Cunard Yank discs that any scouse music fan worth their salt would know. Bobby is not impressed: it’s a ballad for Christ’s sake! He predicts she’ll lose all credibility with her Liverpool fans if she doesn’t record something that’s more rock’n’roll. But Cilla senses the potential in the song and the recording begins. In a brilliant piece of direction, at this point we only see but do not hear her performance. Bobby has stormed out of the recording studio, but comes back to watch as she sings through the window of the sound-proof studio door. The couple return to Liverpool to wait for the charts. Taking the call from Epstein in the phone box across the road, they learn its gone to number one. It’s only then that director Paul Whittington gives us the recording studio performance of the song with sound, closing the episode on a triumphant high. Indeed, Sheriden Smith’s climactic performance of ‘Anyone Who Had A Heart’, might just have been even better than Cilla’s. In under three hours of enjoyable television, Cilla conjured up this ‘wondrous place’ that is Liverpool (recalling the title of a song by Billy Fury, the late fifties rock’n’roller from the Dingle whose statue can be found at the Pier Head, and which Paul du Noyer took as the title for his book, the best that has been written about Liverpool and the music it makes). 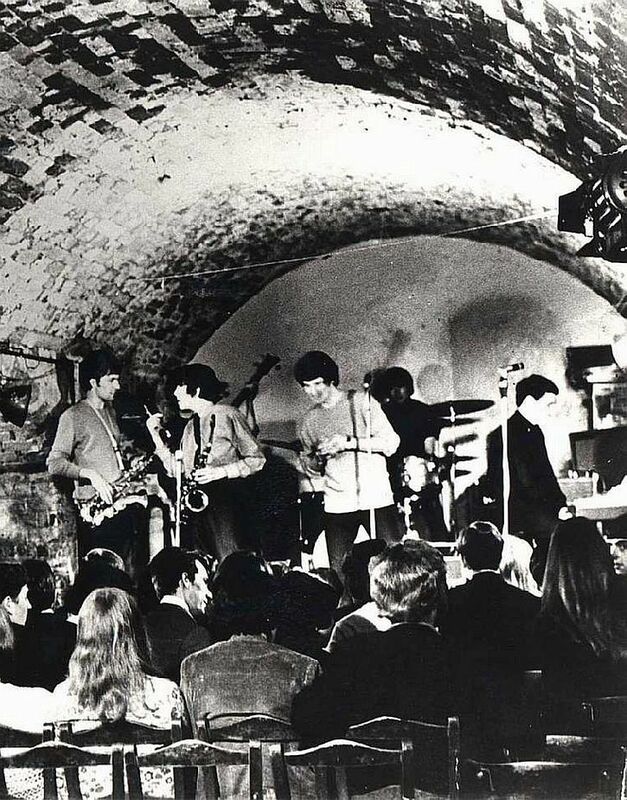 Specifically, Cilla successfully evoked the mythical Liverpool of the Merseybeat boom years – a mythical city of The Beatles et al that drew me and many others to it, including, in 1965, Allen Ginsberg, who made a special detour to see the place which he famously announced was ‘at the present moment the centre of the consciousness of the human universe’. Adrian Henri later claimed that Ginsberg’s famous statement referred to ‘the cataclysmic effect of the Beatles and Merseybeat in general, while the visual arts (and poetry) benefited from the sheer headiness, the excitement of the time, as well as the attention generated by the music’. George Melly observed that ‘the ‘Pool’ feels itself closer to Dublin, New York, even Buenos Aires than it does to London…It’s very aware of its own myth and eager to project it’. In the evening, especially when the sailors are gathered in great numbers, these streets present a most singular spectacle, the entire population of the vicinity being seemingly turned into them. Hand-organs, fiddles and cymbals, plied by strolling musicians, mix with the songs of the seamen, the babble of women and children and the whining of beggars. From the various boarding houses… proceeds the noise of revelry and dancing. I rather suspect there are more wonders to come from this wondrous place. Admirably succinct praise for Cilla from Martin Colyer’s Five Things blog . 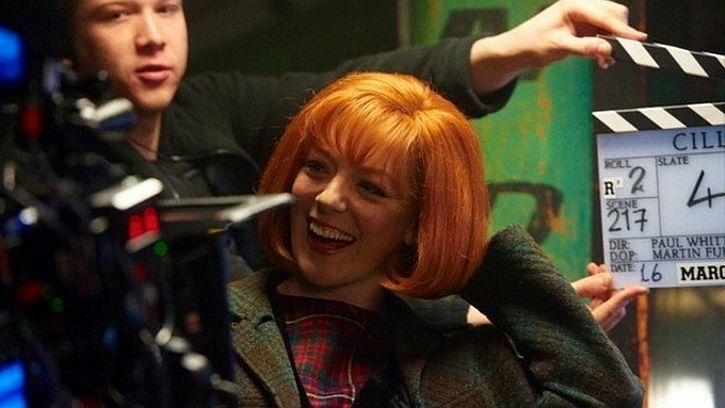 Sheridan Smith is Cilla Black. Yet another terrific central portrayal by a British actress, here in a tale that could fall flat – like biopics often do – but is great for these reasons: a) The art direction, set dressing and period clothes are never lingered on in that “We’ve spent a bundle on this, we have to show it off” way. They do the job incidentally, while being great to look at. b) There’s a rich seam of humour running through the script, a lightness of touch that tells the story whilst avoiding literalness. c) The music feels live (Smith sang live throughout the whole of the first episode). She also sings all the studio takes and the cute build-up to hearing her finally sing “Anyone Who Had A Heart” – held to the end of part two, even though we see her recording it much earlier, ends the episode brilliantly. The session, overseen by George Martin, has a fabulously-cast bunch of Abbey Road sessioneers with cardigans, suits, glasses and thinning hair. Each time we’ve walked or driven along Arran’s west coast I’ve looked across the the narrow strait of Kilbrannan Sound to the low hills of Kintyre and imagined exploring that long peninsula as far as the very tip where, from the Mull of Kintyre, you can see the coast of Northern Ireland, seeming a mere stone’s throw away. The opening of Liverpool’s first free public library on 18 October 1860 was marked by a public holiday and a day of celebrations, culminating in spectacular firework displays. Yesterday, Liverpool celebrated again: from 9:00 am to midnight, thousands poured through the doors of that same library, reopened after two years being rebuilt to a spectacular design. 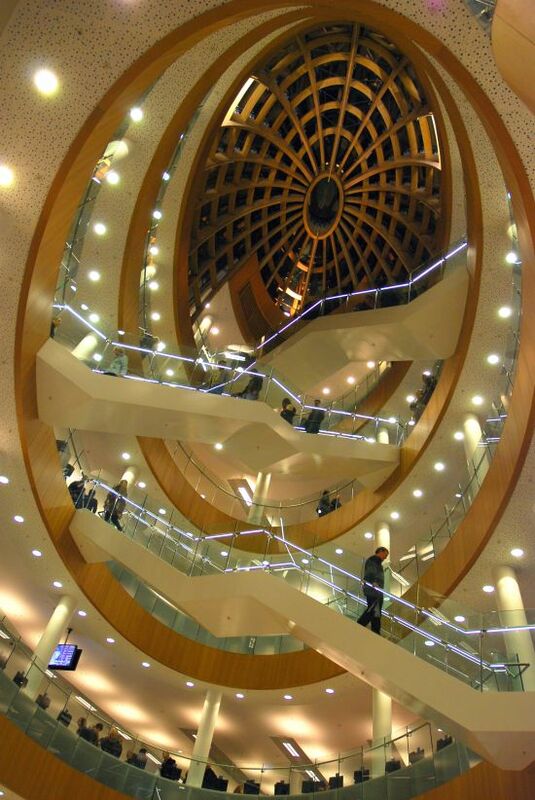 In the morning I joined the crowds: walking the literary pavement leading to the new library entrance that displays the titles of books and films and, once inside, gazing up at the five-storey atrium topped with its elliptical glass dome, stunned with wonder. 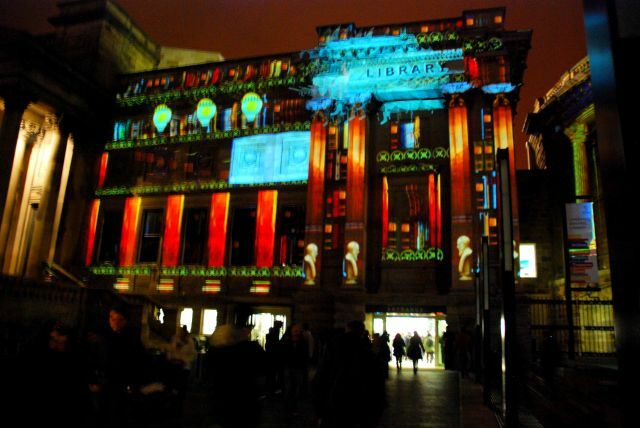 In the evening I returned to find the place still heaving with people of all ages: it was LightNight in Liverpool, and the library threw open its doors until midnight, while a fantastic light show was projected onto the building’s exterior. I was filled with a tremendous sense of civic pride – a feeling echoed by everyone I spoke to, and in overheard conversations. This was the culmination of the largest public library project in Europe, testimony to faith in the future of public libraries and symbol of an alternative to austerity policies and the slow death of public services. Though the project has not been without controversy – critics have expressed disquiet over its funding by Private Finance Initiative (PFI), while others point out that cuts to the city’s budget will result in many branch libraries facing reduced hours or closure – this was a day for unreserved celebration. Without doubt, the building is a stunner. There are echoes of Richard Roger’s transformation of the Berlin Reichstag building in what architect Ben Aston has achieved here: the glass-domed atrium flooding with light what before was gloomy and dingily municipal. Like Rogers, too, Aston has taken a Grade II listed building and sympathetically inserted modern, state of the art facilities whilst preserving and integrating the historic areas. Before it closed two years ago, Central Library was a labyrinth of confusing stairways and corridors that linked rooms on different levels, each housing a different section of the catalogue. There was a strange, circular ‘International’ library with narrow, stepped corridors of shelving that might abruptly end, blocked by a pillar. In a mysterious and remote region were rooms that were kept locked, closed to the public except for organised visits arranged by schools or other groups. I used to arrange library visits for the Access students I taught at college, and the highlight of each visit would be when a librarian would flourish a large key and unlock these secret places. That was when we saw the treasure that lay at the heart of this collection: the only copy of Audubon’s Birds of America held by a public institution, a massive leather-bound volume containing hand-coloured, life-size drawings of each bird. It’s one of the world’s most valuable books. The confusing building that we learned to navigate for thirty-odd years was the product of rebuilding in the sixties and seventies following bomb damage in the May Blitz of 1941. The bombing had destroyed not only large sections of the building but also more than 200,000 volumes and irreplaceable treasures including a set of George Caitlin’s drawings of Native Americans which, if it had survived, would have been one of only two complete sets in the whole world. Fortunately, the 19th century core of the library – the Picton and Hornby libraries and the Oak Room with its gigantic Audubon volume – survived the destruction. Ironically, it was the rebuilt wing of the library that, by the turn of the century, had ceased to be fit for purpose: storage and archive facilities were inadequate, with a leaking roof and damp problems meaning that the building failed to provide the controllable atmosphere needed to keep safe three million archive items, some of them extremely rare and precious. So in 2009, the city council announced plans to demolish the parts of the building added after the Second World War and to construct in their place a new library befitting the optimism that bloomed after Capital of Culture year. 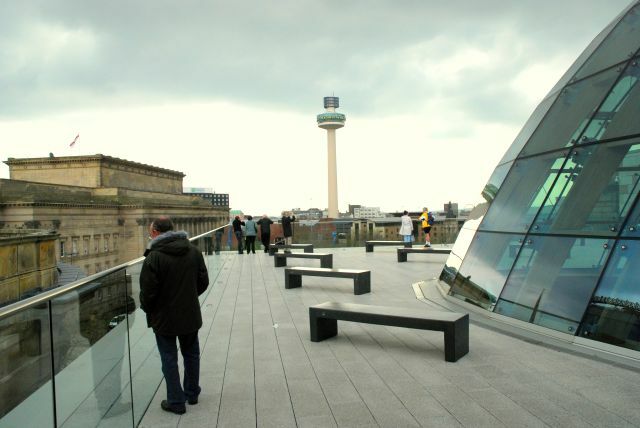 Yesterday, Liverpudlians entering the new library for the first time discovered a cathedral of learning in which visitors are carried upwards via a crisscross of stairs and escalators to the new glass dome, from where they can step out on to a new rooftop terrace that has opened up a new city view to St George’s Hall and beyond. From the busy and cheerful ground floor entrance with its cafe serving the best Crank’s sandwiches and good coffee, if you turn right you’ll find that the old International library has been transformed into a warm and welcoming children’s library, called Discover. 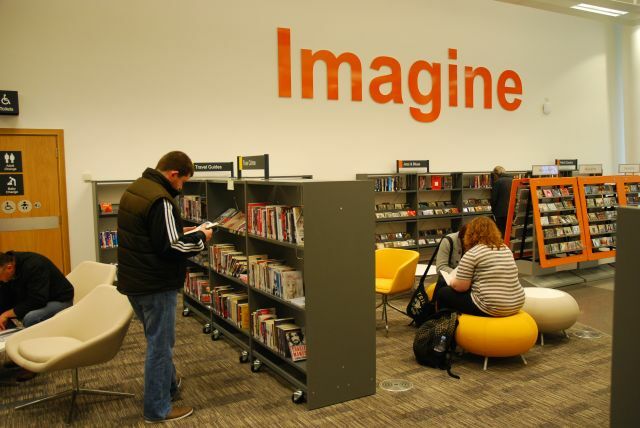 Each area of the new building has been given a name with a crisp 21st century ring: Imagine is where you’ll find music and films on DVD; Archive is the place to go to learn about local history, trace your family tree or research the public records; Enquire is the snappily-titled reference section with computers, iPads and Internet access; on the top floor, Meet is where spaces can be reserved for training, reading groups or meetings. There was so much to take in, but we were all inevitably drawn to that once-cloistered sanctum where the treasures lie. The 19th century heart of the library has been buffed up, but still be instantly recognisable to the Victorian benefactors who gifted this great library to the people of Liverpool, irrespective of class or social standing. I’ve told in another post how Liverpool reformers played a key part in the early 19th century movement for the provision of free public libraries. William Brown was an Irish-born businessman who, after a lifetime as a leading member of Liverpool society and with a reputation for speaking his mind in support of provision of public services, donated the entire cost of building Liverpool’s first free public library. Brown’s gift, though generous, was not enough: it didn’t cover the cost of buying books for the library. However, his business partner, Joseph Shipley, who had retired to his home town in Delaware, sent £1,000 ‘as an old resident of Liverpool’. Amongst the items bought with that money were the drawings of Native Americans by Caitlin – and the ‘double elephant folio’ of Audubon’s Birds of America. It cost £168 back then, but is now the world’s most expensive book, worth millions. Until yesterday, I hadn’t questioned how that treasure came to be in the possession of the city. I thought it had perhaps been a random choice. But, from a souvenir booklet published to mark yesterday’s opening, I learn that there is a real Liverpool connection. Having failed to raise money in America to publish his work, in 1826 Audubon had travelled to Liverpool seeking backers. Among those offering their support were the philanthropists William Rathbone and William Roscoe. The volume will now be on permanent display in the Oak Room, in a climate-controlled showcase, one page turned weekly. Symbolic of the way new technology is fully integrated with more traditional library elements, situated nearby is a large touch screen panel which allows you to browse all the images in the folio. There are other treasures in the Oak Room, part of the Hornby Library, an Edwardian extension opened in 1906 (the opening recorded in a beautiful Art Nouveau plaque). There are original watercolours made by Edward Lear during his travels to Italy, a book printed by William Caxton, and possibly the world’s first printed book of poetry, a Petrach volume printed in Venice in 1470. 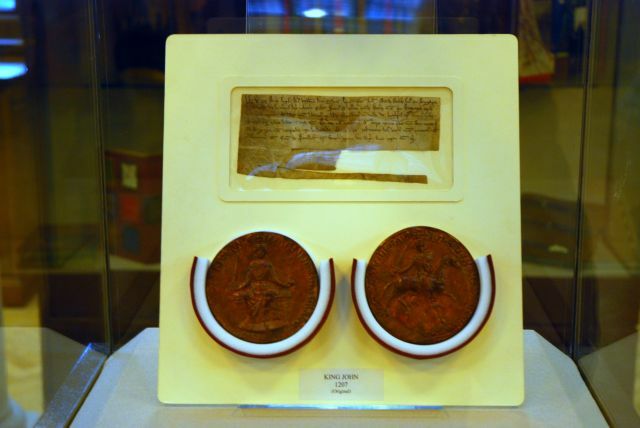 Other historic items on display in the Hornby Library include King John’s Charter founding Liverpool in 1207, a letter signed by Elizabeth I, and a Shakespeare second folio. Alongside the wood-panelled rooms of the Hornby Library is the glorious Picton Library, opened in 1879 and lined with oak bookcases reached by climbing winding wrought iron stairs. Its circular design was based on the British Museum’s reading room, and, with its domed ceiling and reading tables with ornamental oak columns topped by inverted umbrellas of opal glass, it is a magnificent space. This was the first public building in the city to be lit by electric light, and when it opened housed no novels or light reading that might discourage serious study. To enter here back then, you had to observe a dress code. I remember the old public records office being busy and overcrowded, with space for little else but the shelves of archive materials and the desks where you could whizz your way through microfilms of local newspapers. 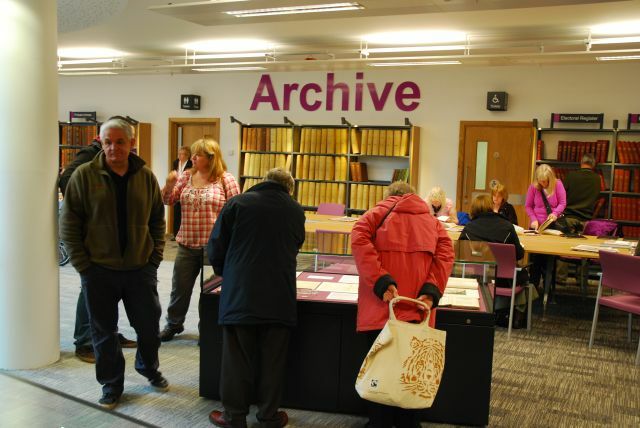 Now, the new Archive area is brightly-lit and spacious – with the added bonus of well-chosen displays of materials from the archives which once only serious researchers would have seen. The example everyone is drawn to as if by a magnet is the essay on the Coronation entered in a schools competition in 1953 by 10-year-old Paul McCartney. He won a prize for it – quite rightly, with its neat handwriting, impeccable grammar and arresting opening paragraph describing the massacre, at the coronation of William the Conqueror, of Saxons whom the Normans considered had displayed insufficient respect for the new king. He came here, to Central Library, to collect his prize. 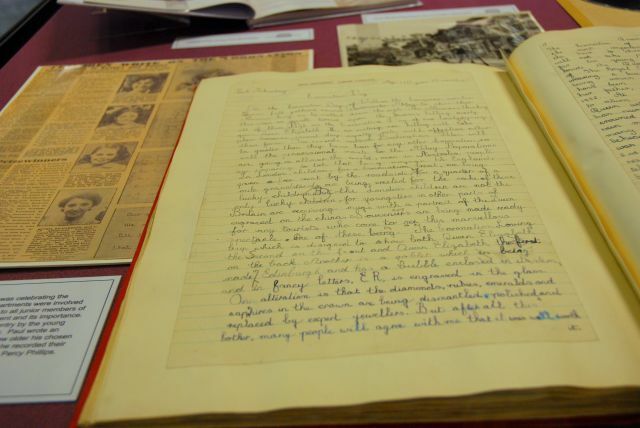 There are fascinating displays, too, of Everton and Liverpool FC memorabilia and of contemporary maps and letters relating to the opening of the Liverpool to Manchester railway in 1830. Later, in the evening, we came back into town for LightNight, the increasingly-successful arts and culture extravaganza in which venues in the city stay open until midnight, and there are lightshows all over the place. We went to a cathedral of the spirit first, before once again joining the crowds thronging Liverpool’s new cathedral of the mind. In the nave of the Anglican cathedral, throngs were tracing the lines of a candle-lit labyrinth. It wasn’t, perhaps, the perfect opportunity for quiet reflection that labyrinths have represented for centuries in cathedrals and other spaces, but I’m always awestruck by the interior of the cathedral. Is it the last one ever built, anywhere in the world? 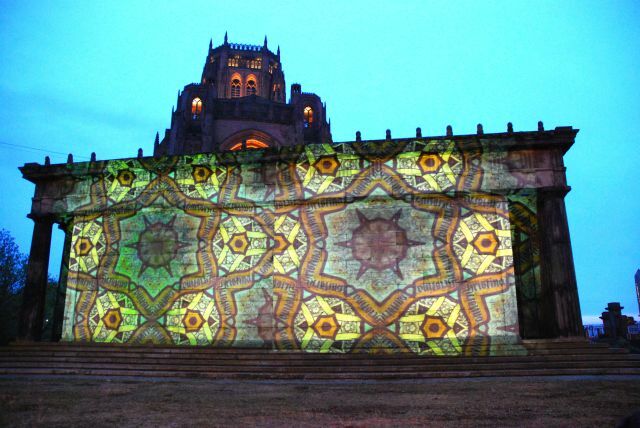 Outside, the Oratory was illuminated by Fragments, a series of projections across two sides of the former chapel to St James’s Cemetery created by light artist Andy McKeown from photographs of the Cathedral’s stained glass windows transformed into slow moving, brightly coloured kaleidoscopes. Fittingly, as we emerged from the cathedral a beautiful sunset lit up the sky over the river in resplendent mauves and pinks. Heading down into town, the streets were thronged with people making their way to one of the LightNight events. This is a brilliant idea that makes the place feel magical and joyous. Then it was down the hill to William Brown Street to show friends around the new library and then to see the outside of the building illuminated by animations of classic books such as Alice in Wonderland chosen from a spinning book shelf projected onto the circular exterior of the Picton library. Each time one of the books was chosen, a projection visualizing the book would appear on the main library’s façade. The literary thoroughfare, paving the way to the door with tales from The Wind In the Willows to Gone with the Wind. The glass cases in the oak room, the stacks of the Picton, and the shaft of light that cuts through bookish murk from the airy new atrium. The pictures speak more eloquently than any words could about what Liverpool has achieved by restoring its central library. As it reopens on Friday, the splendour is redoubled at a time when other municipal centres of learning are shutting up shop. The blend of old and new is thrilling. Not just the bright modern interiors behind the restored facade, but the mix of digital access with cloth-bound books, and city records reaching back to the 1207 letters patent from King John, enticing settlers to build up the port. The Echo’s view that this is a secular cathedral – to rank with the huge Anglican one, St James Mount, and the Catholics’ Metropolitan – may sound excited, but it isn’t wrong. But let’s not just celebrate our good fortune in acquiring a wonderful building. Let’s think, too, of what it symbolizes: an alternative to the mantra of austerity, cuts in local council spending and the shrinking of public services. It’s a beacon in rough times.